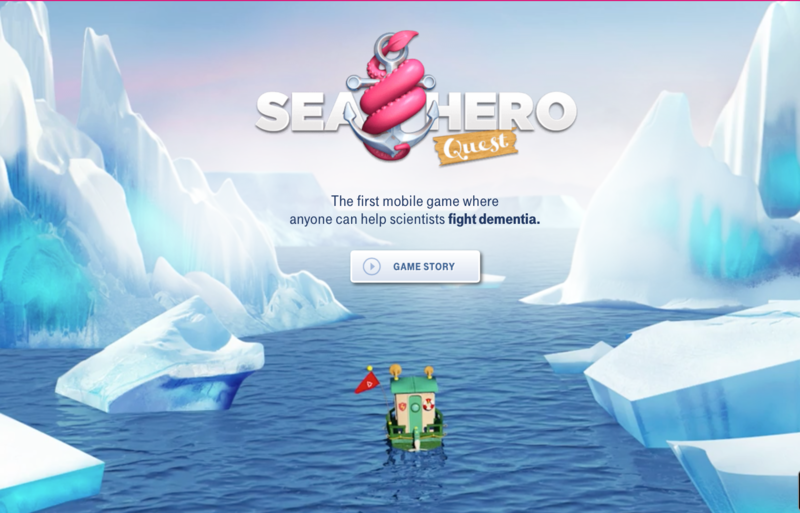 A groundbreaking new mobile game app could lead to vital new advancements in dementia research. ‘Sea Hero Quest’ focuses on a son’s quest to capture the lost memories of his father, and it has been specifically designed to track and help advance our understanding of spatial navigation and how this aspect of our brain works. Dementia disrupts the formation of new memories, often leaving those affected isolated and disorientated. For many people living with dementia, one of the first effects they experience is a loss of spatial awareness, as they lose the ability to navigate their way through even well-known places and environments. The game has been developed as part of an innovative collaboration between academics from University College London, University of East Anglia and University of Northumbria, on behalf of telecommunication company Deutsche Telekom, Alzheimer’s Research UK and game developers, Glitchers. Dr Hugo Spiers (UCL) and Professor Michael Hornberger (UEA) said: ‘This project provides an unprecedented chance to study how many thousands of people from different countries and cultures navigate space. This will help shed light on how we use our brain to navigate and aid in future work on diagnostics and drug treatment programmes in dementia research. The project aimed to secure 100,000 downloads within six months of becoming available, a target which would have seen data which would have taken more than 50 years to generate using similar, traditional research. However, the target was surpassed within a day of launch. Key to that was getting PewDiePie, a Swedish web-based comedian and video producer, to promote it. ‘He has 43 million subscribers who play videogames,’ Dr Spiers noted.